With the sun staying up a little later these days, it can only mean that picnic season is upon us. 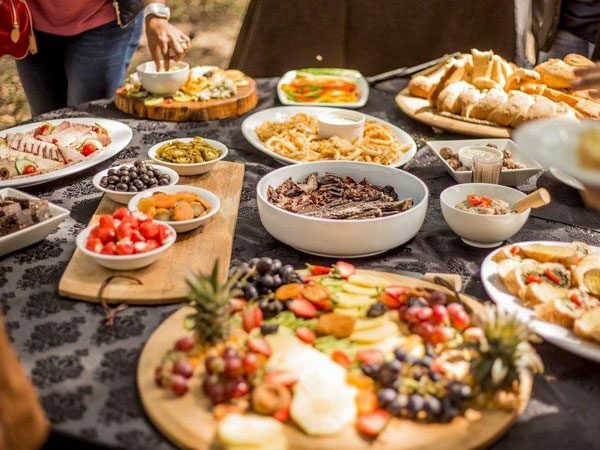 Grab a blanket and head to one of these picnic spots around KZN. 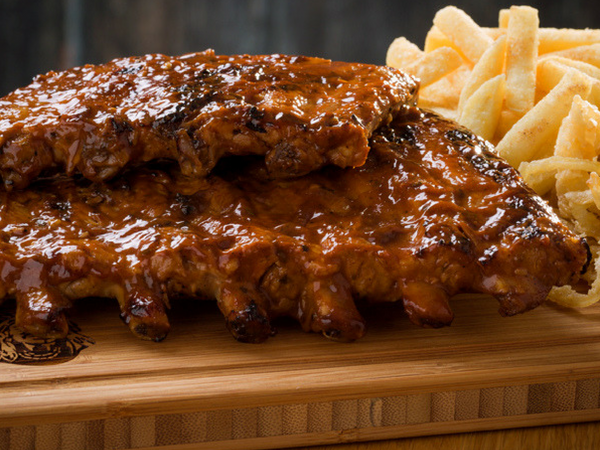 The Umhlanga branch of the extremely popular Afro’s Chicken offers locals a chance to chow down on their favourite chicken burger and tjips at the picnic space at Chris Saunders Park. Simply place an order for a picnic basket, blanket and bottle of vino at the Afro’s counter, and have them pack you a delicious park picnic. 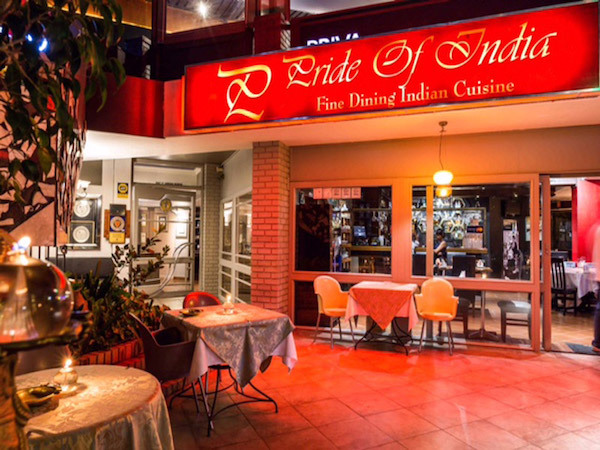 Enquire at the counter for prices. The picnic setup at Afro’s in Umhlanga. Photo supplied. Billed as a peaceful oasis, the serene gardens at Makaranga offer no fewer than 18 ponds, numerous statues looking on, winding, wheelchair friendly paths and loads of little nooks for love birds on the grass or at picnic tables. 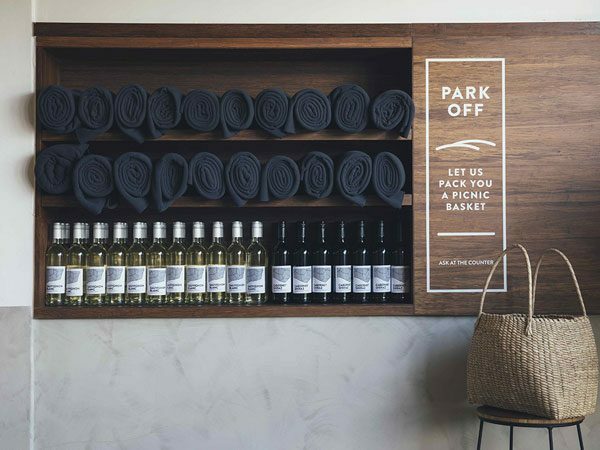 Create your own picnic with the help of the staff at the deli, choosing from Mediterranean-inspired snacks, local charcuterie, cheeses, breads and sweet treats. 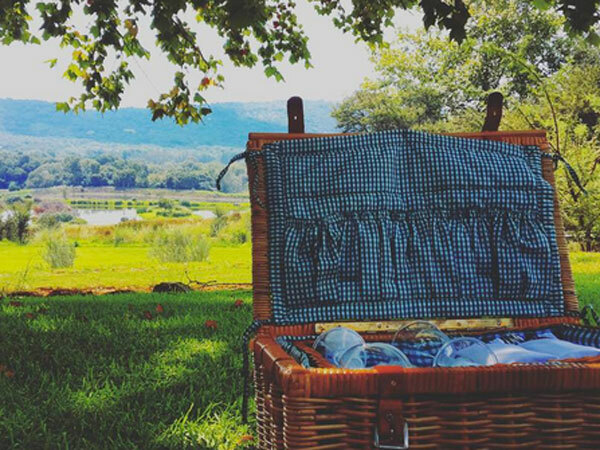 Picnic blankets and baskets are for hire, too. Day visitors are charged a gate fee of R60 per vehicle. 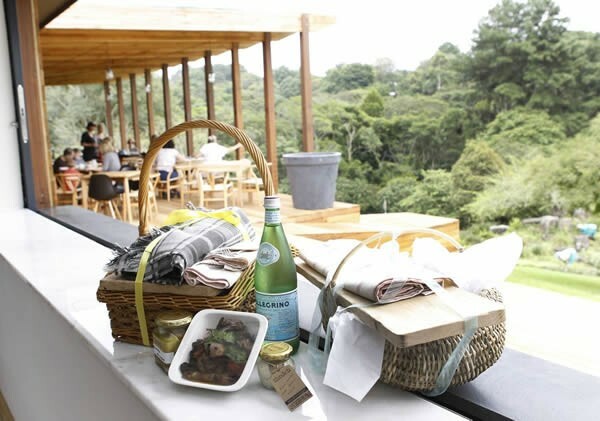 There’s a picnic special until 28 February 2019, which comprises a picnic basket for two for R450, which includes nachos, chicken fajita skewers, chorizo quiche, a platter of local cheese, fig and biscuits, home-made chocolate shortbread, and lemon meringue pie. Booking is essential. A picnic basket at Makaranga. Photo supplied. Personalised picnic experiences are the name of the game for this outfit. Want to blow the budget with horse riding on the beach, meeting a dolphin, helicopter flights or a gondola ride? Their ‘picnic elves’ have got you covered, setting up the picnic for you in the agreed location. 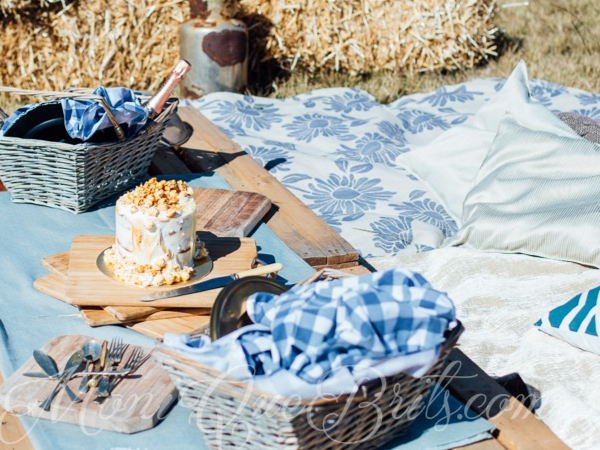 If you’re planning to woo someone or pop the question, romantic picnics start at R750 and go all the way up to R4900 (including a photographer and mini wedding cake!) if you’re planning to elope. 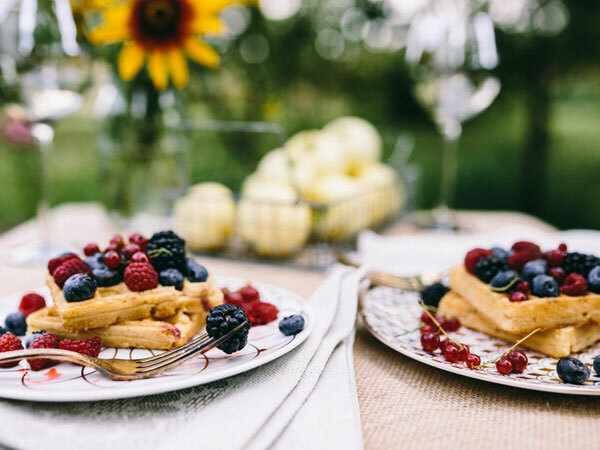 Those with a smaller budgets can also be catered to with DIY picnics, and the basket offerings include everything from ‘dude food’ to gluten-free and vegan baskets, from R125 to R225, packed with your choice of eco-friendly bamboo cutlery or a fancy wicker basket with the whole nine yards. 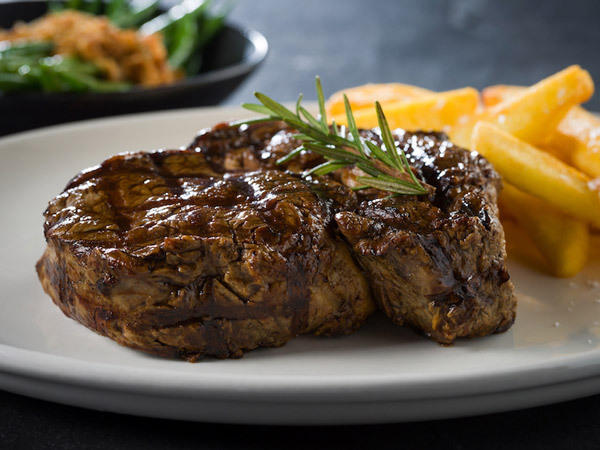 The terms and conditions are worth checking out before you order, as there are minimum charges, deposits and more to consider. Head to the Piggly Wiggly’s farm stall, The Pantry on 103. 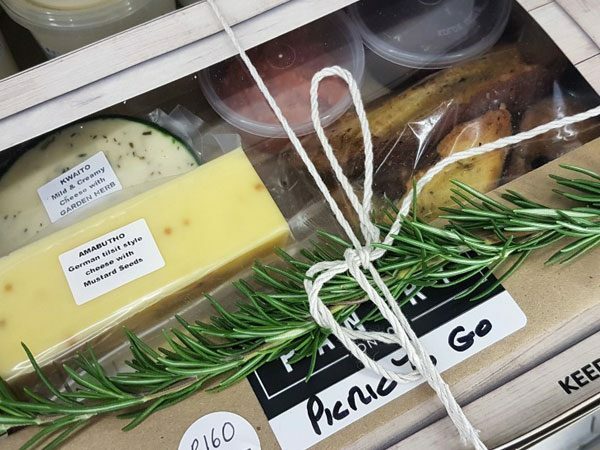 This little foodie haven is an ideal picnic pitstop where you can stock up on unique relishes, sauces and pickles as well as cold meats, cheeses and freshly-baked breads before heading off to your favourite Midlands picnic site. There’s also a biltong bar and a fridge offering handmade ice cream by the scoop. If the choice is too daunting, grab one of the pre-packed picnic boxes. Alternatively, order yourself a thin-crust pizza from the Piggly Wiggly menu and bring along your own blanket to enjoy on the lawns. A pre-packed picnic from The Pantry on 103 at Piggly Wiggly. Photo supplied. 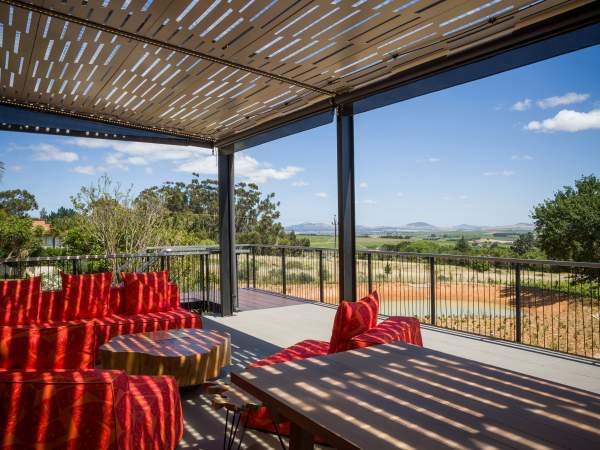 A wildlife sanctuary that specialises in luxury getaways, Rain Farm Game Lodge also offers picnics for day visitors at a rate of R260 per adult. The offering includes bread and crackers, hummus, tomato relish and either chicken-liver pâté or cream cheese, vegetable crudites, cheeses, cold meats, chocolate brownies and soft drink of your choice. 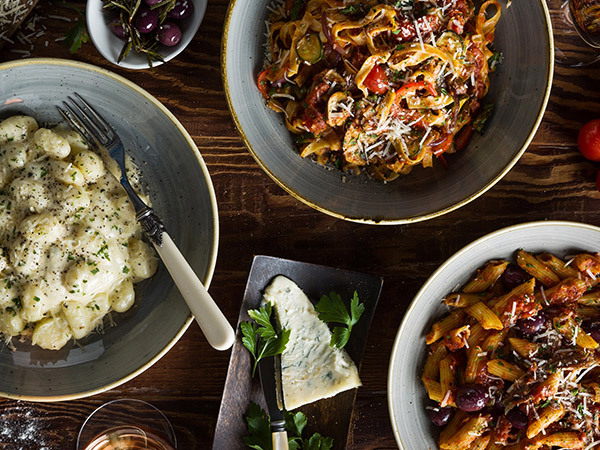 For an extra fee you can add on the likes of butternut-and-beetroot salad, salmon and cream cheese sandwiches; crumbed mushrooms, strawberries and sparkling wine. A picnic spread at Rain Farm Game Lodge. Photo supplied. This wonderful cheese farm has long been a popular picnic destination. The garden picnic offering takes place on the first Sunday of every month and includes live musical entertainment. As for the picnic basket, head to the farm shop to stock your own basket. Customers will also be able to borrow a blanket to lay out on the grass. Kiddies are taken care of with zip lines, a sandpit, tree platforms, hopscotch and goat feeding. Have we missed your favourite picnic spot in KwaZulu-Natal? Let us know in the comments below.